Home Mobile Applications Do you need a creative ‘safe space’ for your design team? While it’s not a universal experience (and very much depends on company culture), some designers in corporate environments have restraints put on their creative expression. Those might be physical restraints, like rules against whiteboards and Post-it notes out in the open, or ideological restraints that stop the creative process in its tracks. Maybe you work in a creative utopia, or maybe you don’t. But creativity is delicate. It needs room to grow and a nurturing environment to bear fruit. So we’re dedicating this post to finding ways to establish safe spaces for creativity—and creatives—to thrive in corporate settings. New trends in office design and space usage have cut down on clutter, and often even personal space. Shared workspaces and “hot-desking,” where employees move from desk to desk as needed, might minimize the expense of square footage, but it does come with other costs. But designers need room—and possibly rooms—to create. To put their ideas out there and see how, or if, they work together. There are strong arguments to be made for clean, tidy workspaces that lead to clean, tidy minds. But creative minds are messy, and a few studies shows that creativity spikes in messy environments. “Forty-eight research subjects came individually to our laboratory, again assigned to messy or tidy rooms. This time, we told subjects to imagine that a Ping-Pong ball factory needed to think of new uses for Ping-Pong balls, and to write down as many ideas as they could. We had independent judges rate the subjects’ answers for degree of creativity, which can be done reliably. Answers rated low in creativity included using Ping-Pong balls for beer pong (a party game that in fact uses Ping-Pong balls, hence the low rating on innovation). Answers rated high in creativity included using Ping-Pong balls as ice cube trays, and attaching them to chair legs to protect floors. Independent researchers at Northwestern University have since confirmed these results with their own experiment, finding that messy-room subjects drew more creative pictures and were faster at solving brain teaser puzzles than tidy-room subjects. Albert Einstein, Mark Twain and Steve Jobs all had very messy desks. #Einstein‘s is not the only ‘active’ #desk that sneers back at the battalions that cry out against #clutter & raise slogans for #order. Here’s the working space of 3 other creative minds: #SteveJobs | #MarkTwain | #AlGore. 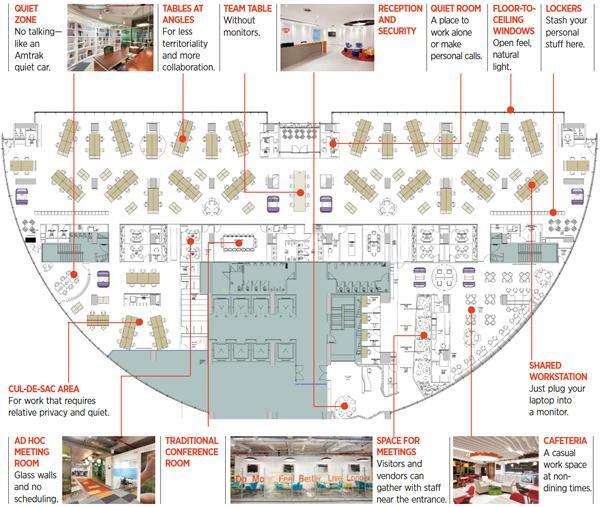 And one of these workhabits would be allowed here—the GlaxoSmithKline floorplan. 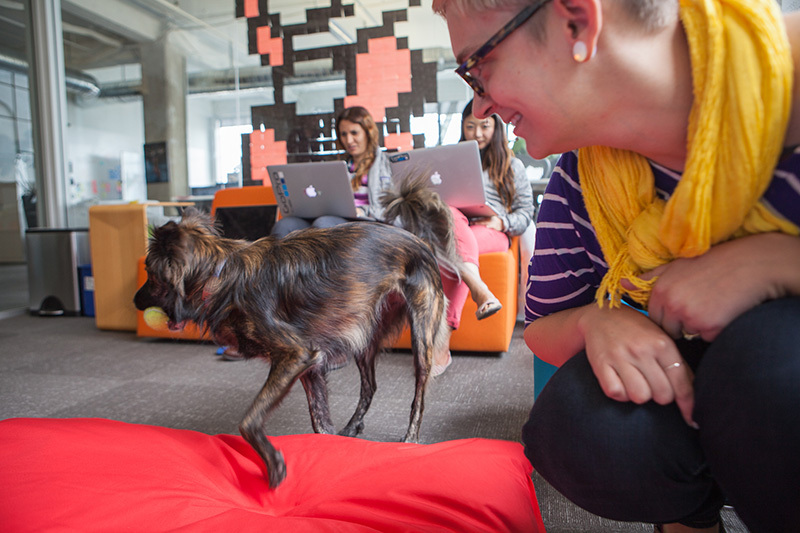 What can you do if your work environment is required to be a little too clean for creativity? See if you can carve some room—or a room—out as a brainstorming space. Neat and tidy spaces have their uses and might be just what many teams need to do their best work. But when it’s time to brainstorm, having a place where visual disorder is okay might be crucial to surfacing real innovation. According to ASU professor Jeff Cunningham, Steve Jobs chose creatives and problem solvers to invent and design his products, and sheltered them from critics until the product was ready for the masses. “Jobs would let the critics toughen the idea (and the team) once it passed through the creative and problem-solving doors because that made a great idea easier to fix but not to kill. That ability to try, to invent, to fail without criticism is critical to creating the kind of emotional safe space designers need to do their best work. It’s an idea I’ve heard echoed again and again from designers and design team leaders. A space that’s perfect for collaboration and creativity. Image from Inside Design: Yesware. Even a more structured design process, like what GrowthHackers’ Dani Hart has experienced, requires an element of freedom. “In my experience, working with designers as a marketer (leading cross-functional teams), it always starts off a little rough with different driving incentives. 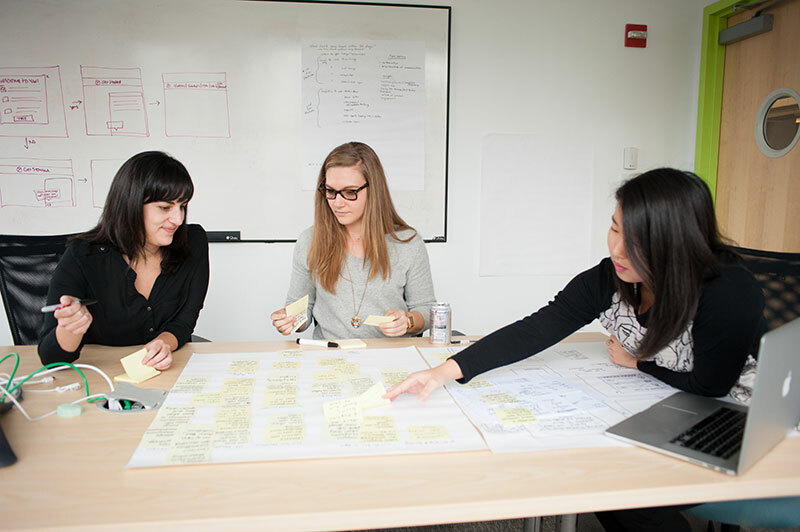 Designers want to create; marketers want results. Both are possible, but it can take time to meet in the middle. It’s a push & pull relationship that takes awareness and effort to develop, but I think the most helpful thing a marketer can do to help a designer is teach them 1. what the goals are for the campaigns and how their work will be measured (specific metrics) and 2. how testing can be structured within design to understand what aspects of the design lead to better performance.